This week at IHCC, we are focusing on cooking Ellie Krieger's healthy recipes to start our new year and/or day. Ellie has quite a number of French Toast recipes, and I choose to make her stuffed french toast. Her recipe uses strawberry chocolate chips, but I use blueberry instead. And no chocolate chips. I'm not a big fan of chocolate, unfortunately. LOL. Recipe adapted from Ellie Krieger's Chocolate and Strawberry Stuffed French Toast. 1. In a bowl, whisk together the eggs and milk. Set aside. 2. Spread cream cheese on the bread, 1 tablespoon per slice. Top one slice of bread with blueberries. Cover it with another piece of bread to make a "sandwich". 3. Melt butter in a frying pan over medium-low heat. Dip each "sandwich" into the egg mixture until completely moistened. Then place it on the frying pan and cook both sides until the outside is golden brown. 4. Remove the toast from the pan. Serve, garnished with blueberries. that pop in my mouth! Delicious! I'm linking this post with I Heart Cooking Clubs (IHCC) for this week's theme, Fresh Starts! looks delicious! 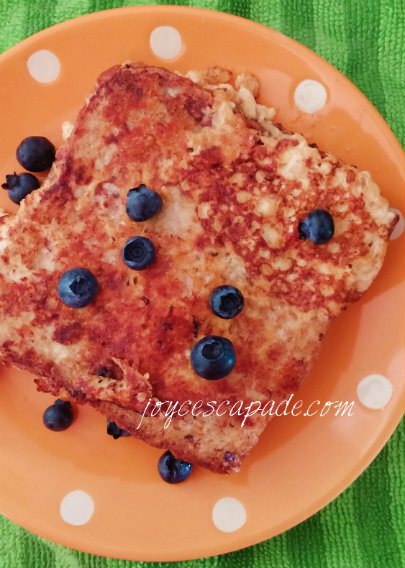 although french toast is treated more like a desert in my house than breakfast. THis can be a real treat for my boys. Oh yes. 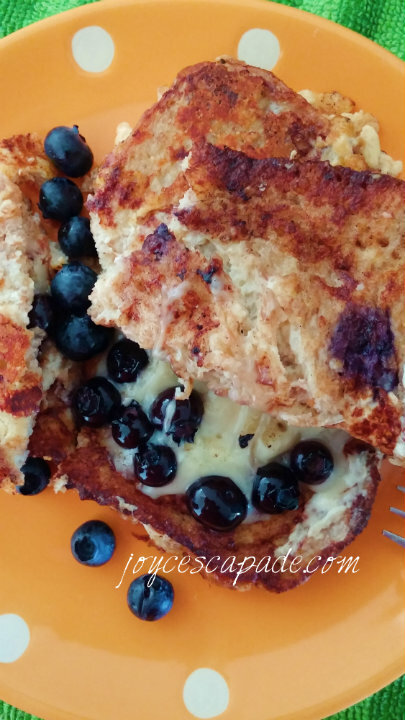 I love stuffed french toast and I love that you made it your own by changing the filling:) Blueberries are a great way to start your day and this looks amazing! I don't remember the last time I had French toast. It will be soon now. Love the idea of the blueberries. 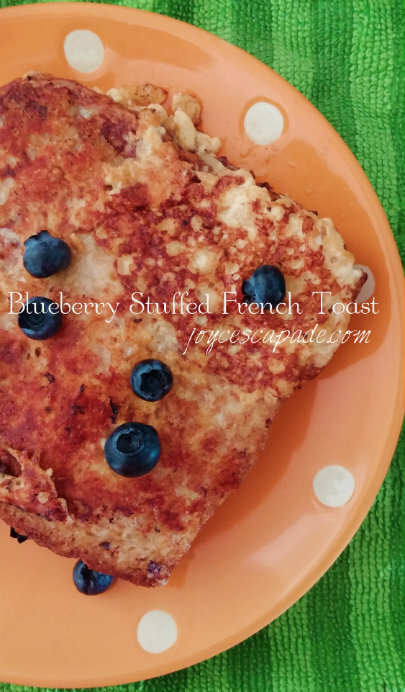 I would have used blueberries over my french toast too. It is fun to have them popped in your mouth. Yes, the popping is the fun part!